Officially does not want to interfere in Beijing in Venezuela and supports the head of state, Maduro. The largest lender in the country insists, however, that the situation stabilizes soon - no matter how. "China stands firmly for the principle of Non-interference in the internal Affairs of other countries. 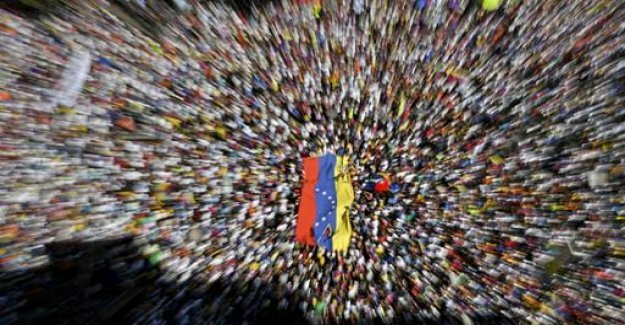 For us, it remains the case that Only the Venezuelan people themselves can determine his own future. We are against unilateral sanctions, they make the Situation only more complicated and do not help to solve the practical problems. You only lead to a deterioration in the living conditions of the people in Venezuela. The countries that impose sanctions, to take responsibility." This attitude has reaffirmed the people's Republic in the UN security Council. Together with Russia, China has a statement in support of the self-proclaimed Venezuelan interim President Juan Guaidó blocked. For justification of the Chinese UN Ambassador in New York, Ma Zhaoxu, China has always been a matter of principle against interference in the internal Affairs of other States. Also, in the case of Venezuela this was no different.